Making driving safer and distraction-free, Pioneer India has launched its Smart Sync App and SPH-C19BT head unit. The unveiling of Pioneer’s SPH-C19BT mesmerized everyone with its astounding design and power-packed entertainment features. 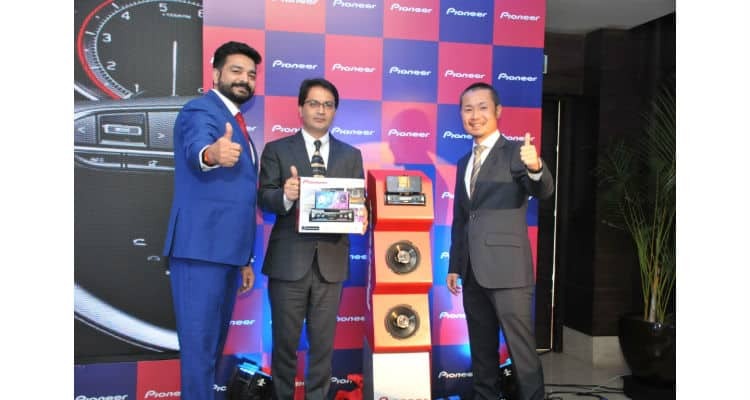 Pioneer SPH-C19BT is additionally equipped with Rear Parking Sensor Input which is compatible with Pioneer Parking Sensor to give the complete read distance information to the person on driving seat and alert him/her with the beep while parking. The inbuilt cradle of SPH-C19BT firmly holds up to 87mm wide phone with a nice grip, even on bumpy rides. The audio tuning, time alignment and other settings can be easily customized on Pioneer Smart Sync App, which is available on both Google Play and App Store. Pioneer Launches SPH-C19BT making driving distraction-free 0 out of 5 based on 0 ratings. 0 user reviews.